Levels of flu increased in Wigan last week, GP records show. It put the illness at a level higher than the average across England, as was vomiting. Weekly data from Public Health England shows that GPs in Wigan reported seeing eight patients with flu-like symptoms between March 11 and 17. 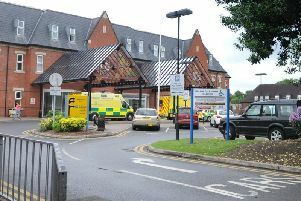 It was an increase from six patients in the previous week, and meant that 8.1 patients in every 100,000 registered with GPs were seen with the illness over the seven-day period. Not all cases were recorded in the PHE figures, as only some GPs report how many consultations are for certain illnesses. The rates per population that PHE calculates takes this into account. 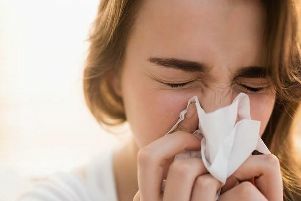 The increase was in contrast to the whole of the North West, where 34 per cent fewer people were seen with flu last week. Symptoms of flu include fevers, with temperatures of 38C or higher, an aching body and feelings of exhaustion. People aged 65 years or older, pregnant women and people with certain medical conditions are eligible for a free flu vaccine. The NHS says people with flu can often treat it without seeing their GP, and should begin to feel better in about a week. Levels of flu in Wigan were 60 per cent higher than expected last week, when compared to the national average. Doctors also saw 17 patients with vomiting symptoms last week, at a rate of 17.1 patients per 100,000. It was two fewer than during the previous week, and meant that levels were 10 per cent higher than expected. Vomiting can be caused by a number of conditions, including norovirus, known as the vomiting bug, and food poisoning. The NHS says it should pass in one or two days. Also last week, 26 patients had diarrhoea, 10 per cent below expected levels, and 62 had gastroenteritis. People with diarrhoea are advised to stay off work until the symptoms have stopped for at least two days. The NHS says it normally passes in five to seven days. Gastroenteritis is a common condition, usually caused by a stomach bug. People with the illness are advised against going to see their GP, to help prevent the disease spreading.